Anya Galli Robertson studies social movements and environmental sociology, with a particular emphasis on movement tactics, environmental politics, and qualitative methods. She received her Ph.D. in Sociology from the University of Maryland in 2018. 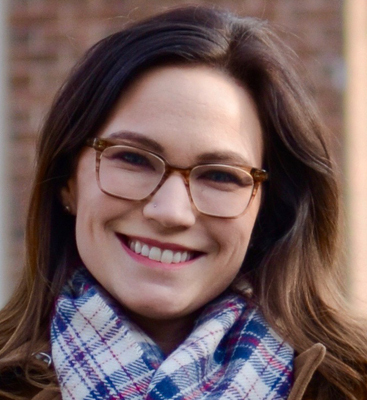 Her dissertation research centered on the foundations of environmental privilege in the US coal-fired power industry, analyzing political discourse and environmental policymaking surrounding the 2016 election. Dr. Galli Robertson received a B.A. from St. Olaf College in 2008 and an M.A. in Sociology from the University of Maryland in 2012. Most recently, Dr. Galli Roberston has published a paper with Mary B. Collins on disproprotionality and coal-fired power in Environmental Sociology. Her single-authored paper, "How Glitter Bombing Lost its Sparkle: The Emergence and Decline of a Novel Social Movement Tactic," was published in Mobilization in 2016 and was awarded the 2017 CBSM Mayer N. Zald Distinguished Contribution to Scholarship Student Paper Award. She has published co-authored papers in Sustainability, Research in Political Sociology, and Local Environment. In the classroom, I center my teaching around student involvement and collaborative learning. I view teaching as an opportunity to try new approaches and continue my own learning about the social world. Galli Robertson, Anya M. and Mary B. Collins. 2018. "Super emitters in the United States coal-fired electric utility industry: comparing disproportionate emissions across facilities and parent companies." Environmental Sociology, 4 (4). Fisher, Dana R., Anya M. Galli Robertson, Joseph McCartney Waggle, Ann H. Dubin, Amanda M. Dewey, and William Yagatich. 2018. "Polarizing Climate Politics in America." Journal of Research in Political Sociology, 25, 1-23. Yagatich, William, Anya M. Galli Robertson, and Dana R. Fisher. 2018. "How Local Environmental Stewardship Diversifies Democracy." Local Environment, 23(4). Galli, Anya M. 2016. "How Glitter Bombing Lost its Sparkle: The Emergence and Decline of a Novel Social Movement Tactic." Mobilization: 21(3). A Recipient of the 2017 Mayer N. Zald Distinguished Contribution to Scholarship Student Paper Award from the American Sociological Association Section on Collective Behavior and Social Movements. Galli, Anya M. and Dana R. Fisher. 2016. "Hybrid Arrangements as a form of Ecological Modernization: the Case of the US Energy Efficiency Conservation Block Grants." Sustainability, 8(1). Fisher, Dana R. and Anya M. Galli. 2016. "Connecting Environmentalism to Democracy Through Environmental Stewardship." Revue des sciences sociales: Environnement et citoyenneta, 55. Fisher, Dana R. and Anya M. Galli. 2016. "Civil Society Engagement in Climate Governance: Between Collaboration and Conflict." Research Handbook on Climate Governance, edited by Backstrand and Lovbrand. Edward Elgar Press.